Our service range includes a wide range of refrigerated reefer containers leasing service, cold storage on rent and portable large cold storage rental services. Assisted ourselves with modern and effective facilities, we are immersed in providing Refrigerated Reefer Containers Leasing Service. 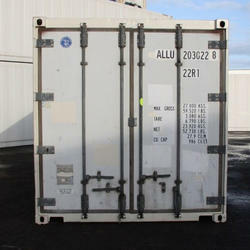 Offered array of containers leasing services is rendered by our talented professionals as per client need. 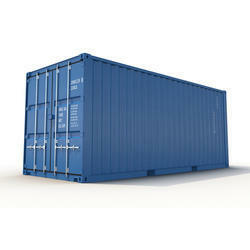 Apart from this, offered containers leasing services are available at very reasonable rates. 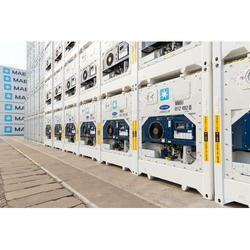 By using the latest technology, we are offering Cold Storage on Rent. These services are rendered using quality tested cold storage under the direction of experts. Apart from this, offered services are admired for on-time execution and reliability. Due to our patron-focused approach, we are offering a wide array of Portable Large Cold Storage Rental Services. Our professionals have knowledge that helped them in offering this cold storage rental service in the best possible way. In addition to this, one can avail these rental services within a limited period of time.